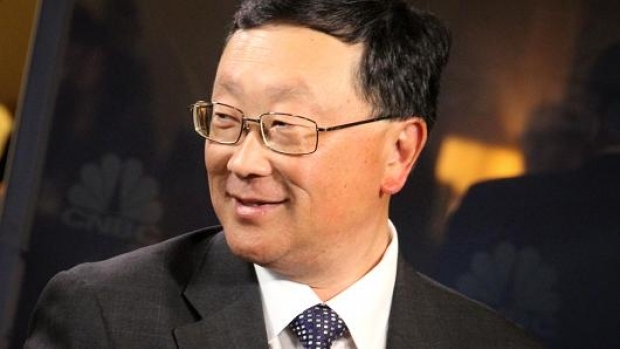 John Chen says BlackBerry working on the next "cool" phone | BlackBerry Blast! BlackBerry CEO John Chen knows how to market his products. Every since he took over the reigns at BlackBerry, Chen has been unwavering in his view that he could save BlackBerry and turn the company around. He has been quite successful so far, but can he keep the momentum going? He said recently the company has "something brewing" that will help them make the next "cool" phone. Speaking at the Milken Institute Global Conference , Chen told CNBC, "I'm not at liberty to tell you what we're doing beyond the Amazon apps, but we're working hard at it � something [is] brewing,"
"It's really about creating the next cool phones, so to speak. It will evolve. There are opportunities to regain the market share." We already know BlackBerry is focused on the enterprise and security, but what could they be working on that would help them gain market share? Stay tuned.